Well long story short, I picked up a stunt bike/street fighter and am completely tearing it down. I've got the new frame painted and picking up some more parts tomorrow. I've been trying to find a certain headlight to put on it but don't know what it is. Here is a pic I found on google that has the ones I want. I will get some pictures tomorrow of what I'm starting with, and tell a little of what I'm doing. 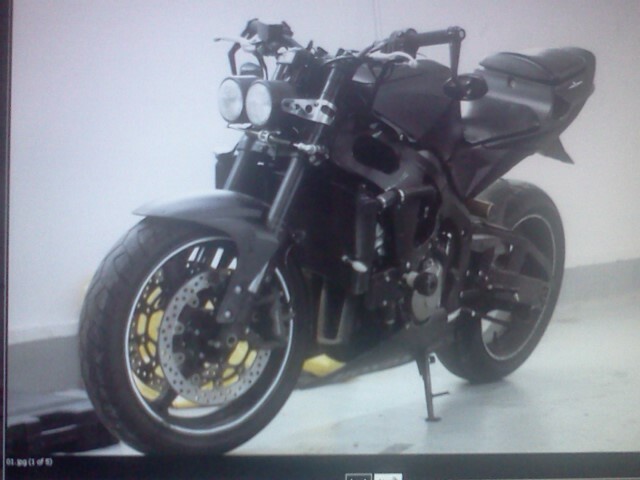 If all goes as planned, I will hopefully ride it Sunday. Does anyone know what headlights these are? Last edited by Ahks; 10-08-2012 at 10:22 PM.